SIOUX FALLS, S.D. – Tickets are on sale now for the 2019 NSIC/Sanford Health Men’s and Women’s Basketball Tournaments and the 2019 NAIA Division II Men's Basketball Championship held at the Sanford Pentagon in Sioux Falls, South Dakota. Fans can purchase their tickets for the tournaments by visiting www.ticketmaster.com or by going to the Sanford Pentagon box office. 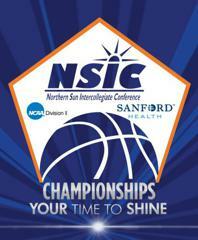 The 2019 NSIC/Sanford Health Men’s and Women’s Basketball Tournament will be played March 2-5. In addition to general admission seating, a limited number of suites will be available throughout the tournament. To book a suite for your group and watch the action from the best seats in the house, call 952-378-1694. Fans are reminded that Sunday, March 3 will be Military Appreciation Day with all military personnel receiving a complimentary ticket with their military identification. The NSIC and Sanford Health are proud to honor our military men and women who serve our country. 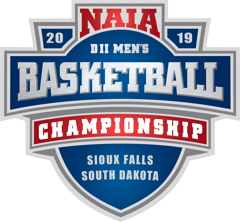 The 2019 NAIA Division II Men's Basketball Championship will be played March 6-12. Single tickets and all-session passes can be purchased at the Sanford Pentagon Box Office, ticketmaster.com, any Ticketmaster outlet or by calling 800-745-3000. All tickets will be general admission. For information on suites or group sales for the championship, contact the Sioux Falls Sports Authority at 605-373-2041 or visit sfsportsauthority.org.